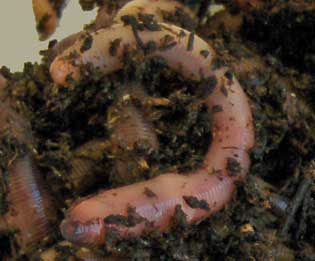 What are some of the ways to increase your worm farming profits? Review the worm growing products list below . We've covered three of the five. Let's examine Garden Culture, an often times overlooked item that sells well locally, as well as online. Local gardeners and farmers, if they are made aware of it's benefits, make a good customer for an easy-to-package garden culture product. What is garden culture? Simply a scoop or bag of partially decomposed worm bedding with any worm castings and worms/eggs/hatch-lings it contains. Gardeners can mix this soil amendment into their growing beds, gardens, or planting soil for improved fertility, tilth, microbes, and aeration. Because garden culture is basically scooped up, weighted, then bagged, there's much less work and time involved on your part, yet the price is good. Folks are getting several benefits all in one package - soil-improvement, fertilizer, live worms for the future - so the price you can ask is very profitable for the time and effort involved. I would suggest you use bedding that is in mid-life - not ready for worm castings harvesting but still aged. It should be "vermi-compost" as apposed to "worm castings". It should be "organic material" rather than just the peat moss you use to ship bait worms. Also, use bedding you've already harvested most of the larger worms and cocoons. Leave enough for a good product, but don't overload it. Moisten the bedding but don't over-wet, especially if you are shipping it. Shipping wet products can be too expensive for long distance sales. You can also have a separate area that you use just for Garden Culture production. This will be a vermi-compost pile or bed that you add leaves, clippings, vegetables and other composting materials, then add worms to decompose the material. In this bed, you aren't interested in growing bait worms or lots of worms, so it doesn't require a lot of your attention. Just keep it watered and protected. Toss occasionally to aerate. When you get an order, you simply mix the bed, scoop it up into bags, weight and label. Folks can pick it up, you can deliver it, or you can ship it. Don't bag the garden culture up too far ahead if you don't have sales. You want to keep the product fresh and viable. Sitting around in a bag for too long risks killing the worms and drying out the organic material. Incidentally, the bags you use should be "breathable" to keep the worms alive. Add Garden Culture to your list of for-sale items and increase your worm farm profits the easy way. This series of posts covers the biggest reason for failure in the worm farming business. Next up: #7 Not Delegating. Reasons for business failures are the same for most any kind of business. The worm growing business is no exception. Most entrepreneurs commit the same mistake, especially at start-up: Trying to do everything yourself. You try to do it all because (a.) you can't afford to hire help and (b.) you don't trust anybody else to do it right. As with most start-up businesses, in the beginning you usually have more time than money. It's practical to do most everything yourself - if you have the expertise - to save money. You save money on labor until you get some cash flow going. You do reach a point, however, when you start making some money. Your worm business is growing so you build more beds.Then you have more worms to take care of and you have more customers to serve, yada yada yada. At this point, you can ask yourself "Is the profit I'm making now enough? Or do I want to take it to the next level?" You need to weigh the pro's and con's of increasing your business. Being a one-man show has it's advantages: It's infinitely simpler when you are the only employee. And you can make a good living running your worm farm by yourself or with family members. But, making more money often means expanding. One option at first is to contract someone to help out with the extra work. No complicated bookkeeping to keep up with, only a 1099 at the end of the year. When you go big-time, you can hire employees and a bookkeeper. At first, this option works great. Canvas the neighborhood for teens or retiree's who are looking for part-time work. They'll be your most economical labor source. The youngsters are energetic and the elders are conscientious. Another aspect of delegating is to recognize when you don't have the expertise for different aspects of your business. If you don't know which end of a hammer to use, you should hire someone with carpenter skills to build any worm beds and shelters you may need. Or, find containers that can serve as worm beds and use existing sheds and structures to protect them. What I saying is, don't try to learn carpentry if you don't have the skill-set. Don't try to be a web-master if you can't even send an email. Hire the local geek or a professional to put up your website. Focusing on what you do best or have a knack for will save you time and money in the long run. Finally, don't be one of those people who simply must do everything themselves because nobody can do it as good or cares as much as you do. Let go and allow someone else to help you if they are willing helps your business grow quicker and your profits grow faster. The only caution I have is that when it comes to your worms - their feeding, watering and bedding - you must make sure the person you are training understands what to do and when to do it. Worms are living creatures and can be killed if these fundamentals are not done properly. Take the time to explain your procedures and make sure your help understands before turning over any of the day to day care of your precious worms. I don't recommend leaving the worm care to anyone lightly. But as far as other chores, selling, bookkeeping, website management, shipping, order taking, etc. - turn some of this over to someone else so that you have more time to market and grow your worms for a more profitable worm farm business. If you haven't started your worm farm business yet or you want to improve your business and start making more money, check out my Worm Farm Manual download or hard-copy. I wrote it so others won't have to learn the hard way like I did. It probably has answers to problems you may be struggling with. Like feeding worms, breeding worms, and selling worms. Let's return to my series Worm Farming Problems and how to get started worm farming right. This post covers #6: Poor Marketing. There's no doubt about it. 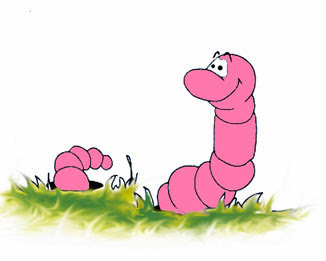 Once you give your worms what they need to reproduce and keep them safe and happy, you will very soon be up to your armpits in earthworms. You will continue to have worms up to your armpits if you don't do the next single most important thing in a worm farm (or any) business: Market your product. Marketing simple means getting the word out that you have worms, getting the word out to the right people, knowing where to get the word out, and knowing the right words to get out. You have to find the buyers, sell those buyers, and sell those buyers what they need. You can sell your worms locally and you can sell them online. You may find most of your sales are online once you get a website up and traffic flowing. This can take a little time, but it will probably be the biggest source of sales. However, selling locally may be your best market, depending on where you live. If you live in an area with lots of lake and waterways with good fishing, you have a built in customer base. You have two ways to go. You can sell directly to the fishermen. You can sell to bait shops. You can do both. O.k., that three ways. If you sell directly to customers, the profit is much greater, but if you can't reach enough customers, the volume may not be big enough. If you're not good at selling or don't have the time, selling wholesale to bait shops may be your best bet. You'll need to sell a higher volume to make a good profit, but you only have to worry about selling a few buyers. Once you've acquired the bait shop as a customer, the sales are pretty automatic. Just make sure you don't take them for granted and keep in touch regularly and give good, fast service with the best worms you can produce. Believe me, they need worms from a dependable source. If you live in a rual area or an urban area that has a high interest in gardening, especially organic gardening, you can sell your worms to vermicomposters. This type of composting is very popular now as gardeners are becoming aware of the benefits. This subject requires a lot of explaining, so I will devote an entire series on setting up your website and selling worms online. A website is an absolute must, even if you just sell locally. It establishes in the minds of the buying public that you are a legitimate, serious business. It will help you find customers and keep those customers. More on setting up an online presence later. If your serious about worm farming, check out my Worm Farm Manual. You find many other tips and how to's that will get you started worm farming. Why make the mistakes that puts most worm farmers out of business before they even get started? 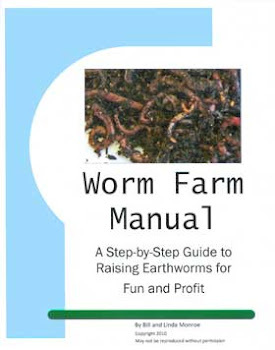 See what you need to do and what you need NOT to do before you jump into worm farming business. Download e-book: Start reading your manual immediately on your computer. Hardcopy Version: Rather have a good ol' book in your hands? Order the hard copy and it will be shipped to you via Priority Mail.